– SharePoint does not display callouts for external content sources. – SharePoint does not generate callouts when rendering in UI Version 14 mode. 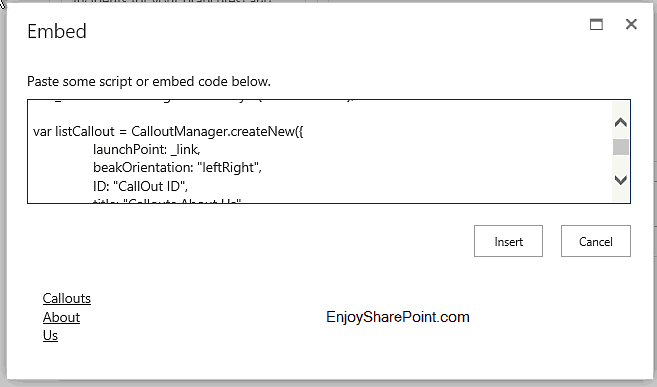 – SharePoint Callout is only for SharePoint server 2013. – SP.SOD.executFunc must contain all the SharePoint Callout implementation code. Step 2: From this page select the Site Actions | Edit Page. Hope this SharePoint article will be helpful.